• A flat fee for the services rendered. • A percentage of the client’s investment assets or in some cases another metric such as net worth. Additionally the fee can be for one-time or ongoing services. In no case will a Fee-Only advisor receive any compensation from sales commissions, trailing commissions, or any other form of compensation derived from financial product providers. 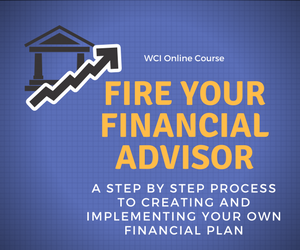 The advisor will charge a set fee for the initial financial plan. This is the “fee” part of the arrangement. However, in many cases, if the client wants to implement the advisor’s recommendations for investments, insurance, and other financial products this will be done via the sale of commissioned products. Where Fee-Based can become even more confusing is in the case of a broker or registered rep using a wrap program as a means to implement investment recommendations. A wrap involves investment management services for a percentage of the assets under advisement, a structure similar to that used by many Fee-Only advisors. What differs in most cases is that the Fee-Based advisor and their broker-dealer will also receive compensation from the underlying investment vehicles (mutual funds, etc.) in the form of 12b-1 fees or a similar form of trailing fee, or in the form of commissions on stock trades executed exclusively through the advisor’s brokerage firm. Additionally it has been my experience that often the assets under management fee for these wrap programs is higher that charged by most Fee-Only advisors for similar asset levels. I am a Fee-Only advisor and am admittedly biased. My point in writing this post was not to disparage those advisors who are not Fee-Only, although I do remain convinced that this is the most client-friendly compensation structure. Rather, I want to reiterate that clients and those looking for a financial advisor need to understand what they are paying for, how much they will be paying, and how they will be paying for financial advice and any financial or investment products they will be purchasing. How is my Financial Compensated? Wondering where you can find the names of Fee-Only financial advisors in your area? Check out NAPFA’s website and click on the Find An Advisor button on the left side of the site. DOL Fiduciary Rules – What Do They Mean for You? Great job with this article, Roger. You clearly outlined the differences between the two terms. I consider this a must read for anyone interested in using an financial service provider. I'll tweet a link to it tomorrow morning. Thanks for the comment and the compliment Chris. Nice and very informative post. Thanks for sharing your knowledge. I've been so impressed with Dave Ramsey's campaign to help thousands of people get out of debt, manage their finances and/or make sound investment decisions. I think everyone should look into his financial peace series, it is truly helpful. Thank you for your comment and for visiting the site. Nice blog,I will keep my eyes on this blog.Hope you can keep posting. This is one of the better explanations of fee-only that I have seen. It is a confusing topic to the public. I am also convinced that fee-only is the best fee arrangement for the public because it obviously is non-biased. However, I think there needs to be a better “term” to explain fee-only. Not “non-commission” because that focuses on what it is not but some other term that explains that the fee is in their best interest.